Do you need an app to take care of your skin? It might be a good idea if you or a loved one suffers from dementia. I've never thought to use an app to keep track of how itchy my skin gets. Whenever my skin starts to feel dry, I rub on some of my favorite Système 41 Moisturizing Hand and Body Crème for some immediate relief. I prefer this lotion for several reasons. One of which is that it contains a good amount of a natural ingredient called Derm SRC. 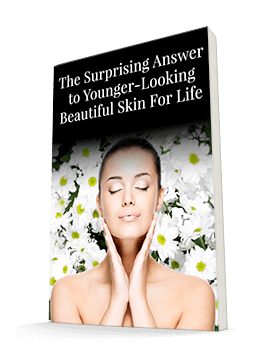 A recent study used this ingredient on the skin of women ages 45-65 applied twice daily. After just four weeks, this ingredient improved the collagen in the skin of these women. It also increased their skin's hyaluronic acid content by 85%. Wow! For older adults who rely on caregivers to relieve their skin issues for them, an app that tracks skin health can make a big difference in their quality of life. Our cells go through many changes as we age. The more damage they experience along the way, the harder it is for them to keep up with all the functions we need them to perform to look and feel our best. A recent study pointed out that cellular aging contributes to both Alzheimer's and skin diseases. And because they have the same source, these diseases often go hand-in-hand. 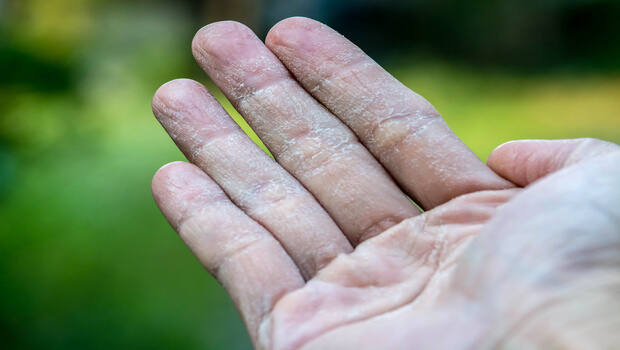 Even when an actual skin disease isn't present, more than 70% of dementia patients suffer from dry skin. I'm sure you know that having dry skin is uncomfortable. Now imagine that you're not able to apply lotion yourself — or communicate your discomfort to your caregiver. No wonder Alzheimer's patients are often agitated — this is simply one reason. To help resolve this issue, researchers in Japan (where the Alzheimer's population has exploded in recent years) are developing an app called the Itch Tracker. It will help caregivers identify problems with the skin of their aging patients so that they can resolve them before they get worse. The goal of the app is to improve both quality of life issues and prevent skin deterioration. As unresolved skin deterioration opens the door to dangerous infections, this app could even be life-saving. This app is still in the development stages, but I hope it becomes available soon. It could provide relief for many people. And even if you don't have a smartphone, I hope this information reminds you that skin health and comfort are very important. If you have aging relatives, make sure they have the products they need to care for their skin. A moisturizing lotion can be a great gift. And if you're caring for someone who struggles to communicate, make sure that skin health is on your checklist when you're trying to identify a problem. A little lotion might be all that's needed to calm both dry, itchy skin and your loved one's agitation.